Floral Danielle: OOTD - Disasterpiece. Oh my goodness, an outfit post... is this real life?! Haha it is indeed, I'm actually going to be posting my outfits on my blog from now on, as well as all the random beauty, fashion, vintage and lifestyle posts I currently write. I have about three wardrobes worth of clothes, and I'm constantly buying more, so I may as well put them to good use and plaster them all over my blog :). This particular outfit was when I visited London last week for a mooch around LFW and then I met up with my friend Jess in the evening for a Fashion Futures show. 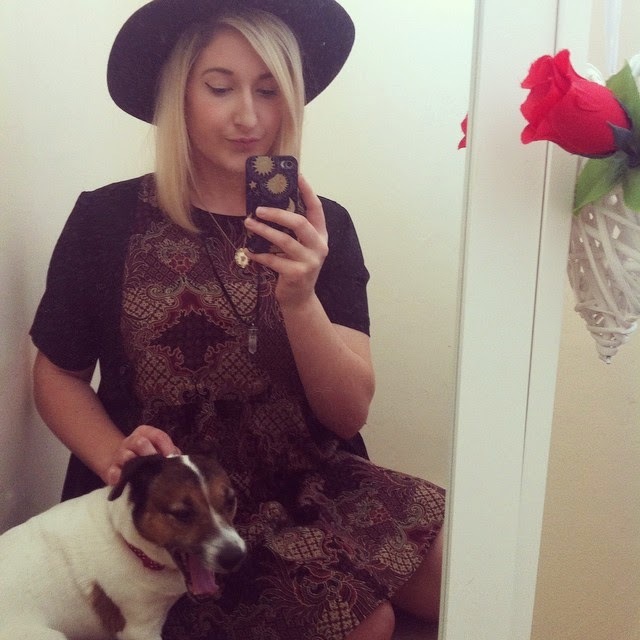 Do you like the idea of me posting my outfits on FloralDanielle too? Aw great outfit post, I love that dress! I was the same at first but then I just thought 'what the hell, I'm wearing it' haha! 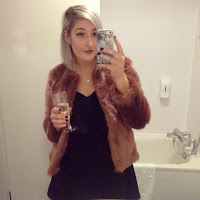 I love this outfit, you look beautiful :) I love your blog and I have followed you with Bloglovin and GFC. If you ever get a chance to check out my blog I would be delighted, thanks! It's my new favourite hat! That dress is so nice and I love that you added hat. Great outfit. I love those hats, this is a great outfit. Cute doggy! Haha she is a cutie isn't she?! I love your hat! Everyone at my university is wearing them. They are very popular! And your dog is adorable! Haha aww isn't she adorable?! Such a cute outfit love the dress! I randomly tried them together and liked it so went with it haha! 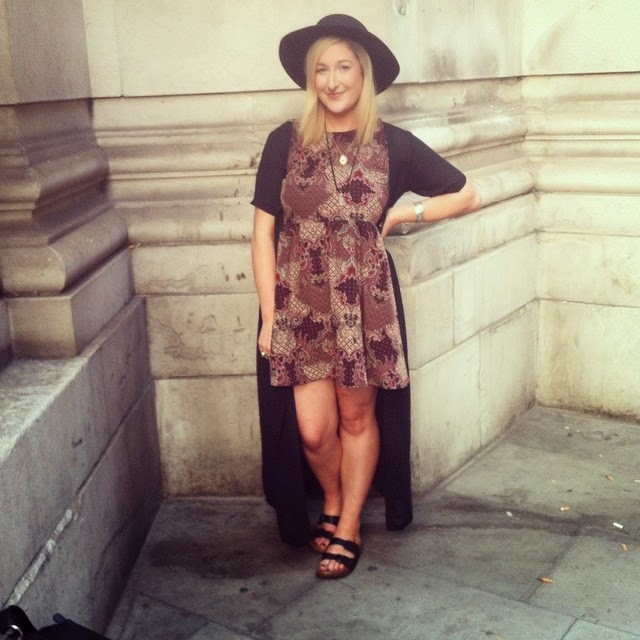 Fantastic Post :) Love your outfit! Yes you should, I literally live in kimonos!